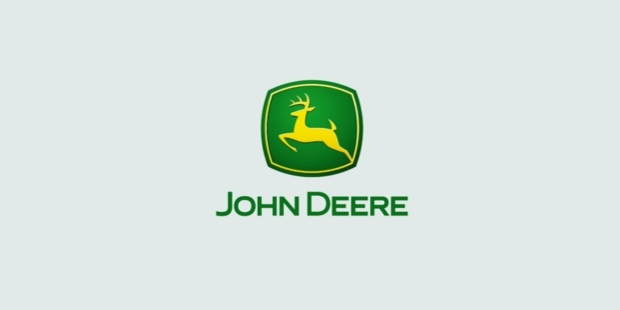 John Deere is an America based company that is dedicated to manufacturing construction, agricultural and forestry related machinery, in addition to lawn care equipment, diesel engines, and drive trains used heavy equipment. Apart from that, the company also offers financial services in the industry. 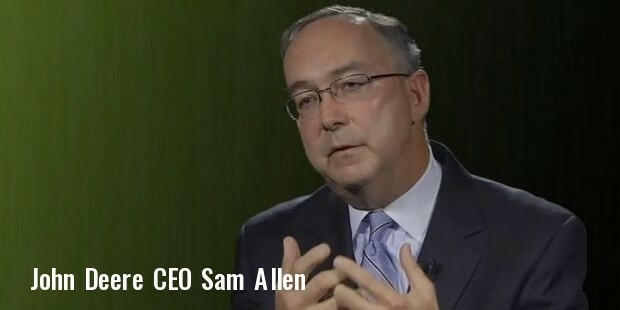 As of 2014, it is the 80th company listed in the Fortune 500 companies of America. The company’s logo is made of a leaping deer, with different color combinations for construction and agricultural products. 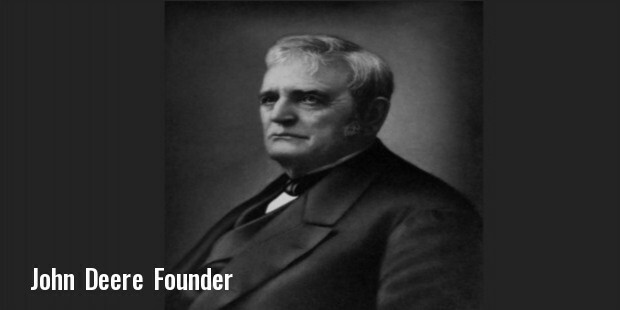 John Deere, the founder of the company was born in Vermont in 1804, but moved to Illinois in 1836 to establish a general repair shop in the village. He started manufacturing small tools like shovels and pitchforks for local people, and became popular when he used a Scottish steel saw blade to make a plow. With this innovation, the company John Deere was created in 1837. The company’s business operations are carried out through three segments: agriculture and turf, construction and forestry, and financial services. 73% of the company’s revenue is generated through the agriculture and turf segment, under which products for turf and utility, crop harvesting, hay, forage, tractors and crop care are produced. 18% of its revenue is represented by construction and forestry segment of the company, through which it constructs and distributes equipments like crawlers, dozers, log skidders, backhoe loaders, motor graders etc. Under its financial services section, John Deere provides credit and financial services to Deere wholesalers and dealers across the globe. The company’s sales and marketing are operational in 25 locations and 20 warehousing locations across 15 countries worldwide, including the US, Turkey, Spain, Mexico, Italy, India, Russia, China, Brazil, Australia, France and Argentina. They have 700 independent distributors and dealers across 100 countries of the globe. Agricultural equipments, including different models of cotton harvesters, combine harvesters, tractors, balers, silage machines, sprayers, planters, seeders etc. Construction equipments, including excavators, loaders, backhoes, tracked loaders, skid steers, graders, etc. Forestry machinery, including forwarders, harvesters, skidders etc. Other products, including snow throwers, lawn mowers, diesel engines, power trains, snow mobiles, all-terrain vehicles, gators, etc. John Deere publishes a magazine especially designed for the company’s fans. The first issue was mailed in November 1984, with only 10 black and white pages. At that time, it was published bi-monthly, and started with only 135 subscribers. Due to huge demand of the magazine, it started publishing monthly, and today, it reaches 30,000 paid subscribers. Current edition is perfect bound, and contains 88 full color pages. 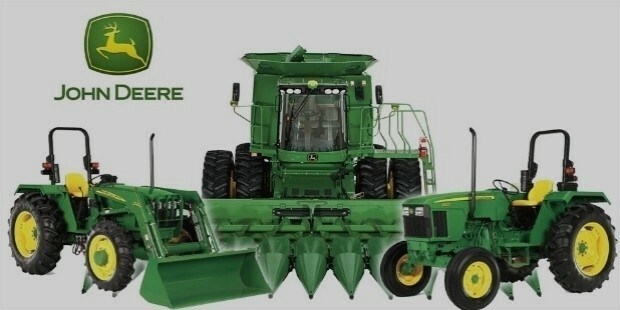 The major focus of John Deere is to enhance its operations, and keep up with the demand of the industry. With the acquisition of Auteq Telematica in 2014, the company has gained additional proficiency in the marketing and manufacturing of equipments and machinery.